«Smarter» illustrated quotation. Baseball, free quote pictures for Facebook, Twitter, LinkedIn, Reddit, Pinterest and other social networks. Baseball players are smarter than football players. 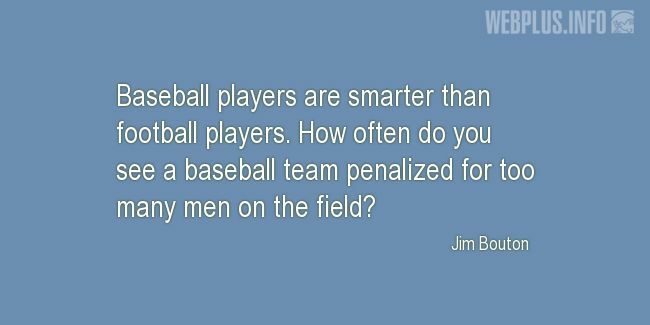 How often do you see a baseball team penalized for too many men on the field?